← A wander down Crosby Beach. A Chinese Junk ship in Waterloo ! I was back walking along Crosby beach but today I continued down to the Lakeside Leisure Centre in Waterloo where I was surprised to see a Chinese Junk Ship. It was literally a ship made from junk. 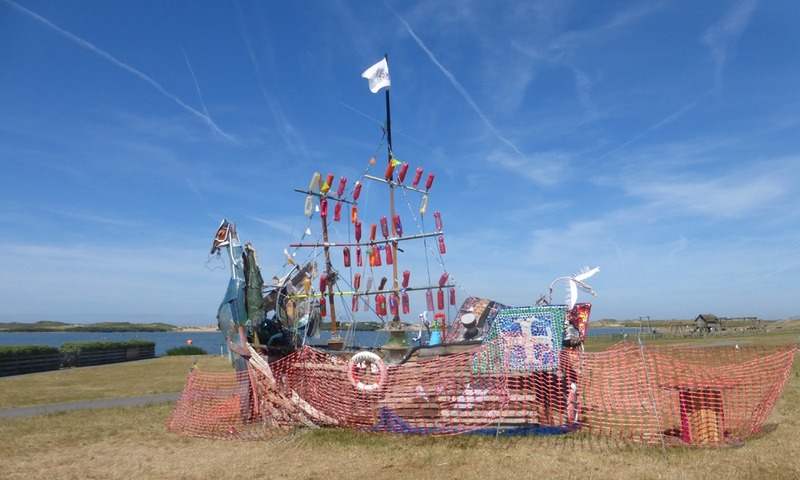 Called ‘The Good Ship Flotsam’ it was designed by local artist Lynne Winstanley and made from marine waste collected from local beaches. The project involved several organisations including local schools. The Good Ship Flotsam was a local response to the global environmental issues caused by marine pollution and was produced by Mersey Drift Creations to coincide with the Tall Ships visit to Merseyside. Pupils of Waterloo Primary School collected thousands of plastic bottle tops from the beach and won the inter schools competition. Their prize was to have their school flag flown from the mast of the Good Ship Flotsam. By yesterday when I took my photo the sculpture was being dismantled although several of the objects are now on display inside the Crosby Lakeside Adventure Centre. 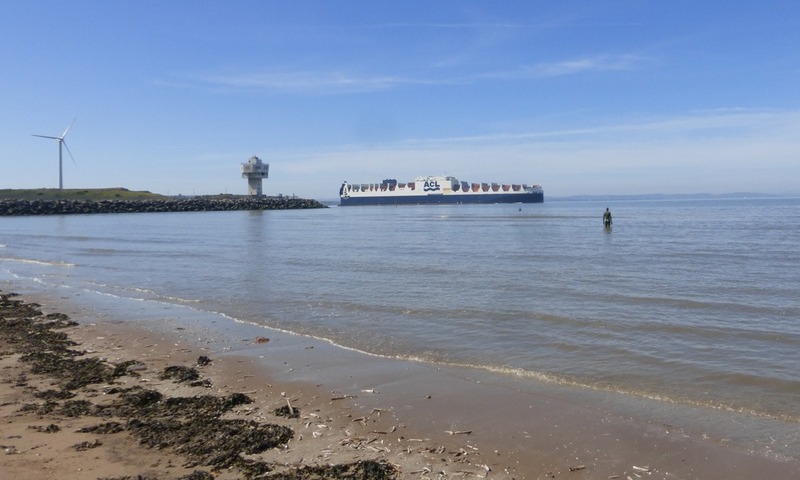 I walked back along the beach watching one of the container ships leaving the port. 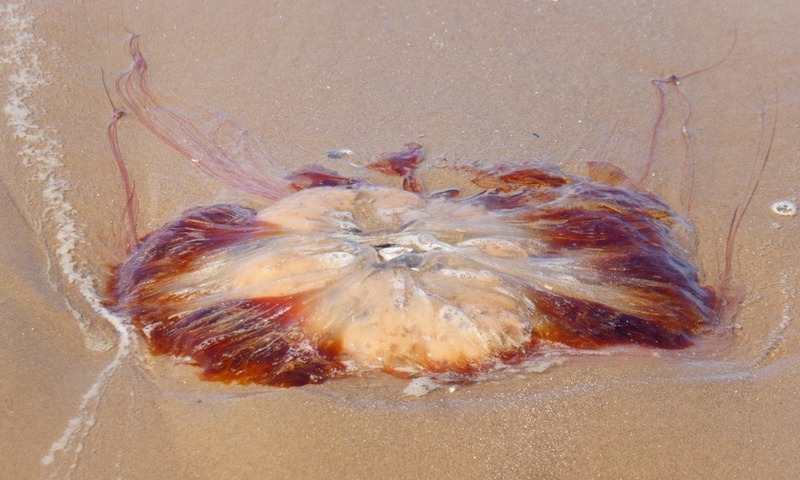 The were still some Lion’s Mane Jellyfish being washed up on the beach. I found o0ne that was stranded but still alive with its tentacles training behind it. From the image you can perhaps see how it got its name. The Lion’s Mane Jellyfish. 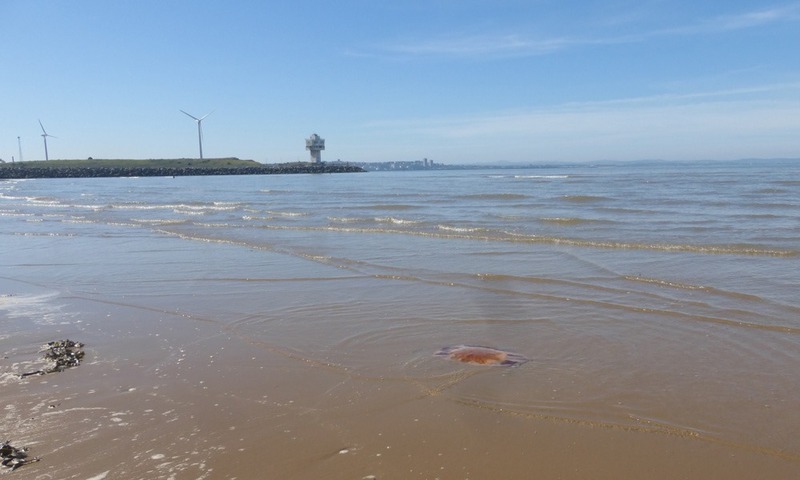 This entry was posted in Photography, Sefton Coastline. Bookmark the permalink.